TWO mine inspectors from the Mineral Resources Authority are in Madang to investigate the incident in which one man died and two injured on Tuesday. They arrived at the Ramu NiCo’s Basamuk refinery in Madang yesterday. 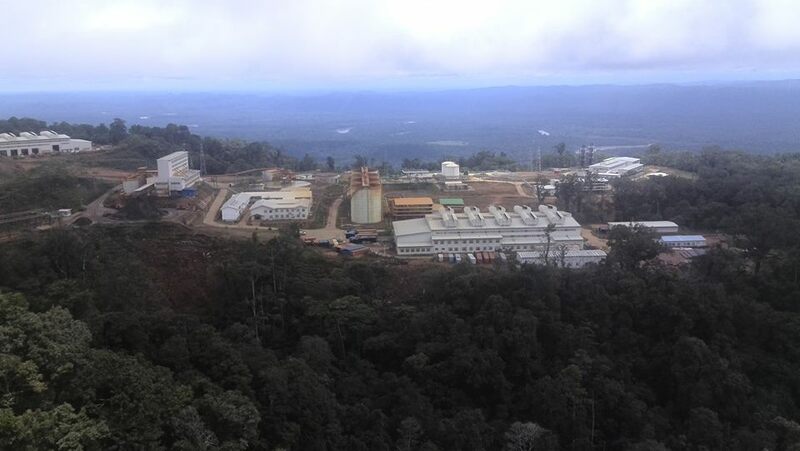 According to Ramu Nico, the Mineral Resources Authority deputy chief inspector of mines Lave Michael and Inspector Andrew Onguglo arrived at the site to carry out preliminary investigations. They will advise the company on future outcomes. The company in a statement said it was cooperating fully with the inspectors to establish the cause of the incident. “We had immediately advised the Mineral Resources Authority at the time of the incident and are providing any resources necessary to the inspector team here,” the company management said. “We will continue to work closely to establish the cause to this unexpected and regrettable incident. “At around 7.46 am on Tuesday, high pressure acid leaching operator Guo Wei from China with two local employees were carrying out a preheating process with high pressure steam when the incident occurred. “Our emergency response team with medical officers tried to resuscitate Guo but he sadly passed away. “It deeply saddens us that Ramu NiCo lost a colleague worker. “The two nationals were immediately airlifted by chopper to Modilon General Hospital. Ramu NiCo’s Beijing Office is in contact with the family members, and assistance is being provided to the family of Guo. The immediate working area at Basamuk refinery has been secured to ensure no further injury.